Spring is officially here and what better way to celebrate than by trying a new polish on your nails! Green polish has never appealed to me until I saw Fashion Playground by Essie in their spring 2014 collection. 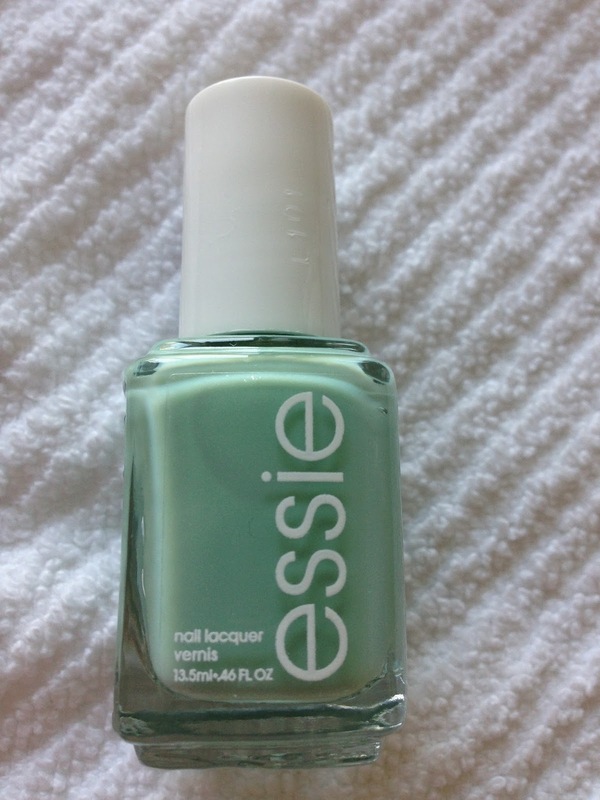 The hint of shimmer in this pistachio green polish has me daydreaming of sitting pool side with an umbrella in my drink. Heads up... Essie is out of stock. Target has been out of it as well. I was lucky enough to grab one bottle out of the two they had earlier this week. What's your favorite polish color for spring? I can't warm up to this shade of green. Reminds me of the tile in an school cafeteria! Happy that it's spring and ready for a warm up! I only do (try to anyway) kooky colors on my toes. Working in a professional atmosphere I feel like a teenager if I do anything too loud. Sadly those pretty colors are what I'm drawn to. But I try to stick to neutrals (black and white are about as out there as I get during the week) on my fingers. Love the sea glassy green though! Tracey M.
It took me awhile to warm up to this color as well @Charisa...It's my first time ever wearing green but it's fun for a little bit. @Tracey...I don't blame you for not wearing loud colors in the office! But so glad you let your toes have a little fun!